With the Jazz gearing up for the final third of their season, let’s take a look and see what 2013-14 statistics carry historical significance and where some current Jazz players sit among the all-time ranks. The Jazz twice set the franchise record for three-pointers attempted in a game in two double-digit losses within the span of 6 days (shooting just 33% and 34% in losses to the Clippers and Mavericks, respectively). The Jazz are currently on pace to set the franchise record for three-pointers made in a season during Game #77, and the record for three-point attempts in a season in Game #73. In a trend that began under Jerry Sloan, the Utah Jazz have set franchise marks for three-point attempts in a season in 6 of the past 7 seasons starting in 2006-07 – with the lockout-shortened 2011-12 season the lone exception. Favors is currently averaging 1.4 blocks per game this season. His blocks per 36 minutes are actually down substantially from last season’s 2.6 mark to 1.6 this season. Nevertheless, in less than 4 seasons Favors is already 13th on the Jazz career blocks list and just 7 blocks behind Otto Moore for 12th-place. In the 10 seasons since Stockton&Malone retired, the Jazz’s 6th, 8th, 9th, 12th, 13th, 15th and 18th all-time leading scorers have all passed through Utah. There is currently nobody in the top-25 on the 2013-14 roster, but Gordon Hayward is the closest. Hayward is just 81 points out of the 26th spot and 234 out of 25th. Hayward also needs 46 points to reach 3,000 for his career. Despite missing the first 12 games of the season Trey Burke, the Western Conference’s reigning Rookie of the Month, appears poised to break several Jazz rookie records in the final portion of the regular season – including three-point makes, three-point attempts and free throw percentage. He’s also on pace to finish second for most assists and 5th for most points by a Jazz rookie. 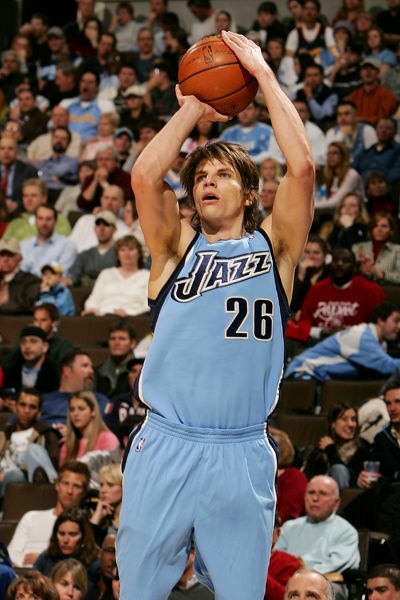 With the Jazz shooting more three-pointers than ever before, several current Jazz players are etching their names amongst the more prolific long-range shooters in team history. Gordon Hayward currently has the 9th-most three-point field goals made in team history, with Marvin Williams ranking 17th. In terms of accuracy, Richard Jefferson’s 41.9% 3pt-FG accuracy is good for the second-highest career mark in team history. Gordon Hayward ranks 12th at a fluctuating 37.4%, Marvin Williams 15th at 36.3% and Alec Burks checks in at #18 with a 34.8% clip. The Jazz’s 19-33 mark was their worst record entering the all-star break since the injury-ravaged 2004-05 season. 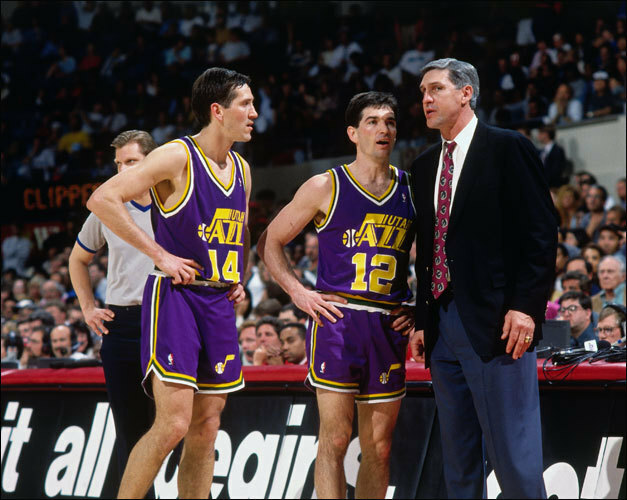 That year the Jazz finished 26-56 – which represented the league’s 4th-worst record. In the 2005 Draft Lottery, the Jazz fell to 6th but were able to move up to #3 on draft night to select Deron Williams. If the 2014 NBA Draft Lottery were held today, the Jazz would be slotted 7th with a 4.3% chance at #1 and a 15.0% shot at the top-3. To keep track of the fluent lottery standings, check back here over the course of the season for updated rankings each morning. To keep tabs on where current Jazz players rank in franchise history, check Jazzbasketball’s extensive record book section on the sidebar that are updated weekly.